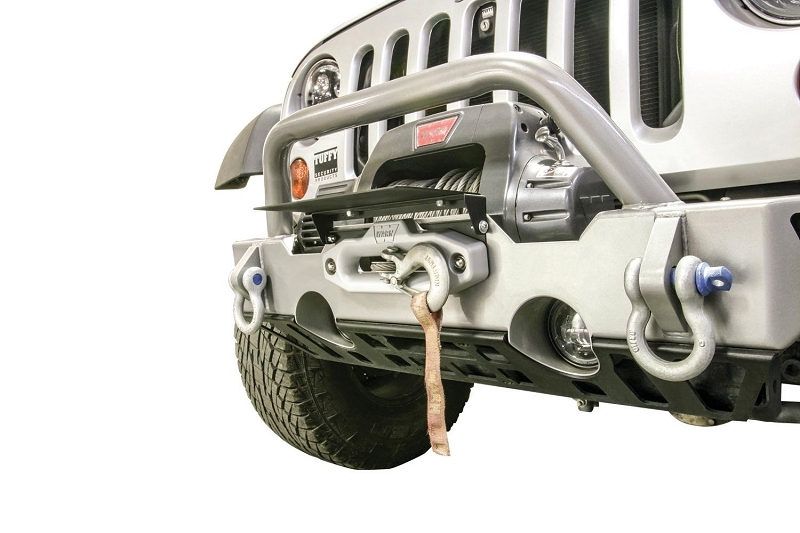 If you have a winch on your vehicle and your state requires a front license plate, here’s the solution! 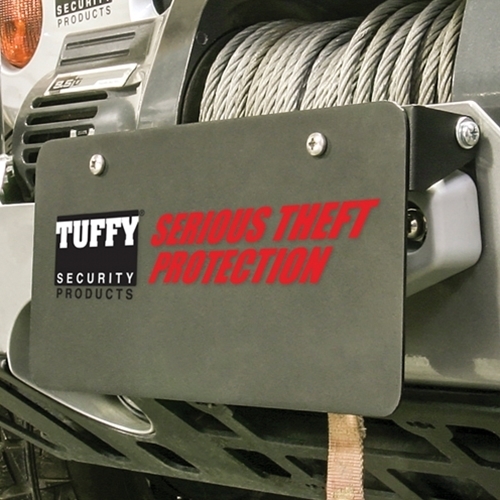 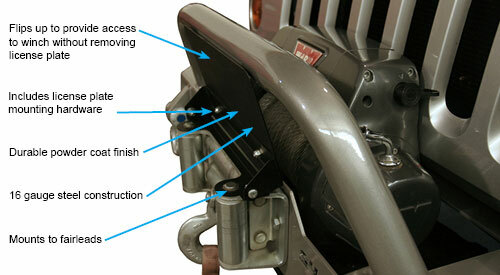 Tuffy’s Flip-up License Plate Holder allows your front license plate to attach firmly to your winch fairleads and flips out of the way when you need to use your winch. 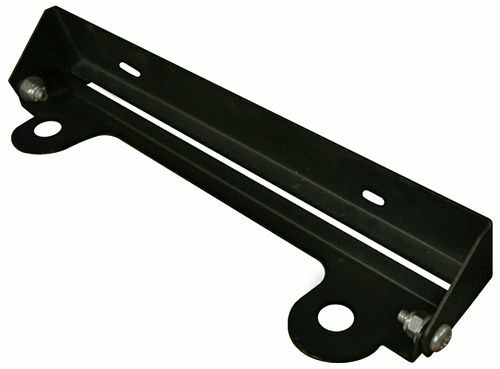 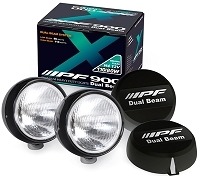 It’s made of durable 16 gauge steel instead of plastic like others on the market and includes hardware for attaching the license plate.